Brazilian President Michel Temer called for three days of mourning following the fatal airline crash on Tuesday which killed 75 passengers and crew, including members of the Chapecoense football team. Authorities reported six survivors, including three members of the football team, two crew and a journalist. 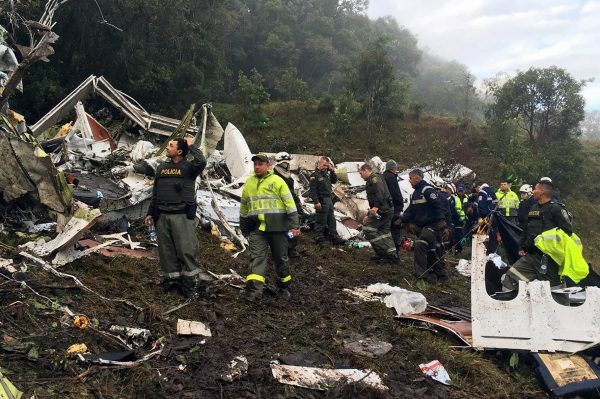 The British Aerospace (BAe) 146 charter aircraft crashed into the Colombian jungle en route from Santa Cruz, Bolivia on approach to Medellin airport amid stormy weather. The football team was due to play a Copa Sudamericana final against Atletico Nacional of Medellin. The reason for the crash is still unknown. A British aviation investigation team has been dispatched to Colombia to help in the search for answers. Immediate resuce efforts were delayed by bad weather and heavy rains, sources in the Colombian city of Medellin. Meanwhile, South America’s football federation has suspended all football matched for an undetermined period.